Home / Sri Lanka News / Tamils disappeared in Mannar torture squirrel skeletons? Tamils disappeared in Mannar torture squirrel skeletons? 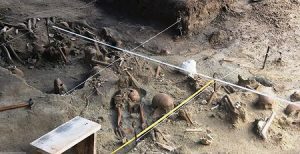 Main News: Hundreds of human skeletons rescued at the Sathosa Building Complex in Mannar, Mannar Diocese Bishop Immanuel Benando said that we can realize what will happen to those disappeared. The birth and celebration of Jesus celebrated nationally every year in Mannar yesterday. The Sri Lankan political situation, which has been the most turbulent three weeks in the past, is now progressing to a gradual turnaround. We are asking the President to make sure that the political stability in this country and respect for democratic values ​​are respected. Many promises have been made regarding the release of political prisoners and they are still in jail without being released. Their relatives are eagerly waiting towards their release. Problems related to disappearances are still going on. The struggle of relationships that loses their loved ones is a continuation story. The promises of occupying lands occupied by state forces are yet to be fulfilled. The village of Mullikulam in the Mannar district, which is inhabited by Catholics, is not yet fully released. The people of Akku live in the temporary places with their eczema where they lived for centuries. Therefore, I appeal to the Tamil people on behalf of the Tamil people to take immediate action for the problems of the Tamil people, such as the issue of the President, the issue of political prisoners, the issue of disappearances and the release of the Tamil people. We are also grateful to try to bring down the Indian Housing Scheme in the process of deficiencies.